If the outer or middle ear is blocked or damaged or in cases of unilateral deafness, surgical and non-surgical options are available. 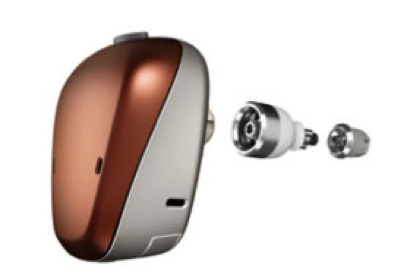 Cochlear Americas’ bone anchored hearing aid (BAHA) 5 offers a surgical solution. The BAHA device sends sound vibrations directly to the inner ear via the bones of the skull instead of trying to send sound through the damaged areas of the ear. Candidate criteria for a bone anchored hearing instrument includes: conductive or mixed hearing loss, single-sided deafness, no medical contraindications, post-surgical realistic expectations, and a high level of patient motivation.